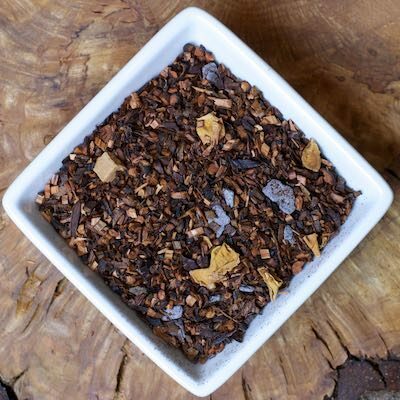 This tisane is one of the most popular in the Studio. It is rich with chocolate flavor and can be enjoyed by the whole family as an after-dinner treat. It smells as good as it tastes! No caffeine.